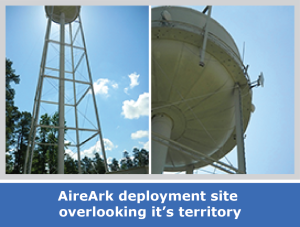 AireArk’s challenge was to find a 2.5GHz wireless solution capable of delivering advanced broadband services in NLOS conditions, to education and government facilities. 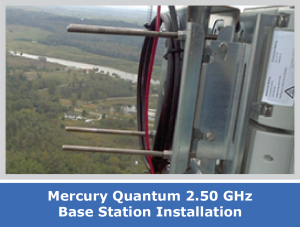 Mercury’s award winning Quantum base stations in the 2.5GHz band. 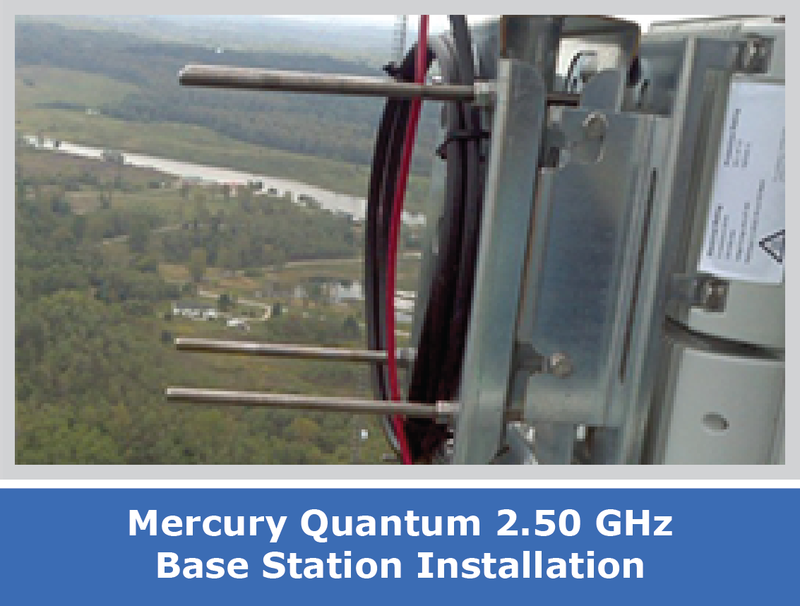 Using Mercury Quantum base stations, AireArk is able to provide broadband services to education and government customers, replacing expensive leased-line solutions and greatly expanding download speeds offered to subscribers. 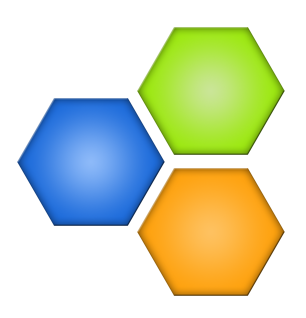 AireArk is now able to confidently expand services to nearby towns and beyond. After testing equipment from multiple vendors, AireArk began testing Mercury’s 2.5GHz Mobile WiMAX base stations. 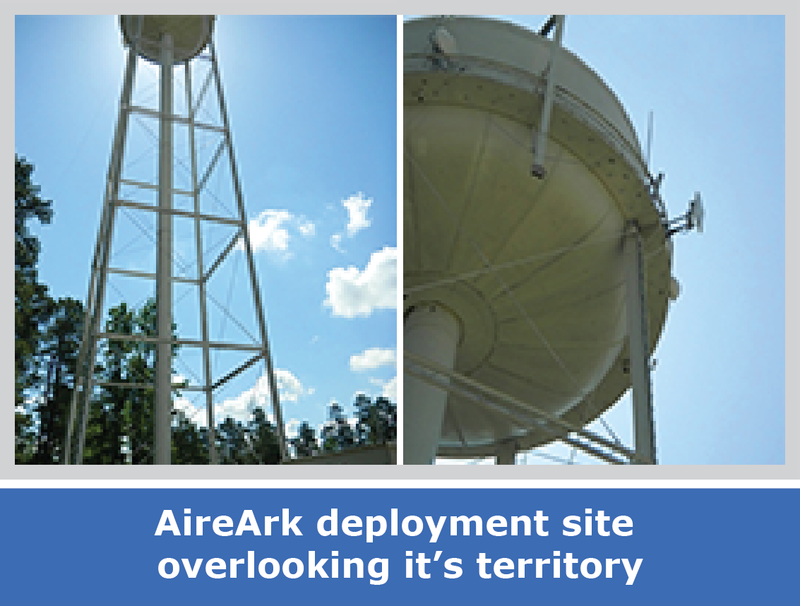 To test the Mercury Quantum’s NLOS capabilities, AireArk field testers took a laptop using a WiMAX USB wireless modem into a building located approximately half a mile from the base station site. Well into the building, the laptop was still solidly connected to the base station. To test the link limit, the testers took the WiMAX connected laptop into a concrete vault and shut the doors. The laptop remained connected to the base station, at broadband speeds, following this demonstration. “That pretty much sealed the deal for us. This is big for us,” said David Wells, General Manger of AireArk-SATCO. This impressive level of service, even in difficult non-line-of-sight conditions is a hallmark of the Mercury Quantum family. With up to 6 antennas operating in concert, Mercury Quantum base stations deliver an unmatched link-budget that delivers wireless service where lesser base stations simply fail.